Campaign launch event coinciding with Movember honours the memory of those lost to cancer. Oct. 24, 2012 - PRLog -- Montreal, QC- November marks the start of an important month in the battle against cancer, as scores of men around the world grow out their 'staches in order to raise funds for, and awareness of, men's cancer. What better time for a Montreal woman to launch a new fundraiser for the Canadian Cancer Society in memory of a friend who succumbed to cancer recently. 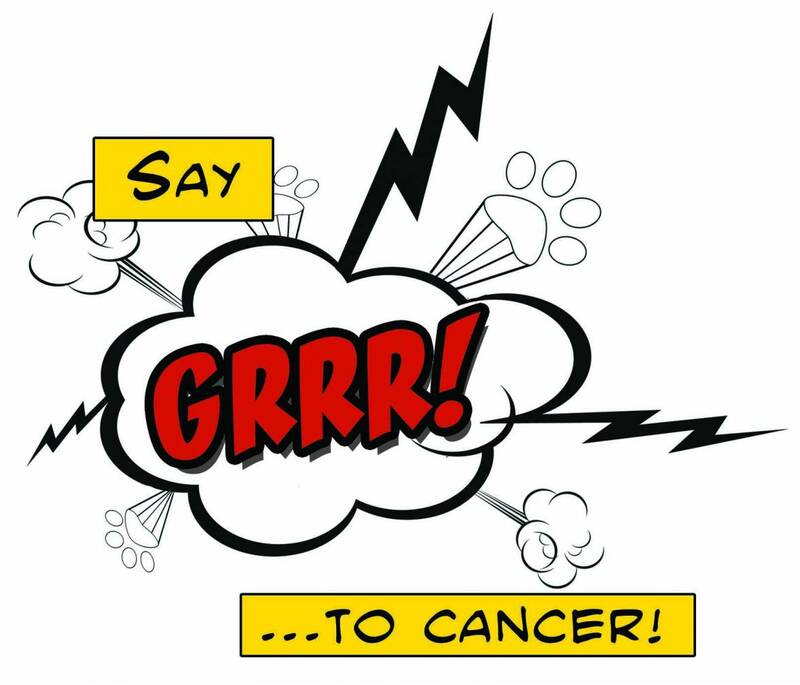 November 3rd, 2012 will be the official launch of the "Say GRRR to Cancer!" campaign. Kyla Sentes, owner and designer at Dog Hair Included came up with the idea after losing her very old and dear friend to sinus cancer. Darren Zenko was a well-known Edmonton-based writer and video game reviewer and Sentes designed a line of dog accessories in his honour called Geek-a-mals, with a portion of the proceeds to be given to the Canadian Cancer Society. "Darren had known my dog Lucy since we first rescued her as a puppy 15 years ago, and he had a special relationship with her; we talked about her many times in his final weeks. He even helped to save her life when she was electrocuted on an Edmonton street seven years ago. He was always incredibly supportive of my creative endeavours. Combining those elements with his love of genre writing made this seem particularly apt. It's a small thing, but I think he would have gotten a kick out of it,” says Sentes. The launch of the campaign will be celebrated with a fundraising event on November 3rd at Brandy's Holistic Centre and Canine Cafe, the only place in Montreal where humans can enjoy a coffee with their canine companions. Owner Christina Monaco readily volunteered her venue, having herself been closely touched by cancer. Dog Hair Included (doghairinc.com) is donating a portion of all sales in the month of November to the campaign, items in their Geek-a-mals line will benefit the Society in perpetuity. Fido Confections (fidoconfections.com) has created a line of moustache dog cookies that will benefit the campaign throughout the month of November. Cookies are available at a variety of vendors across Montreal. Laika's Bark (laikasbark.com) is offering their all-natural sweet potato edible "leather" dog treats at the vent, with 100% of proceeds going to the campaign. Brandy's Holistic Centre and Canine Cafe (brandys.ca) is dedicating proceeds from all coffees and teas sold during the event to the CCS. Valérie Tessier will also be on-hand with human-oriented vegan cupcakes and the Montreal Dog Blog (montrealdogblog.com) is providing additional items, both available for donation to the Society. Sentes has been overwhelmed by the encouragement of her fellow businesswomen: "I feel very lucky to belong to a network of amazing women who have supported me in this project, and have been so generous in their donations of time and funds to the cause. Sadly we've all been touched by cancer, but it's always a wonderful thing when people can come together and make something positive happen out of an otherwise tragic situation."